Taking big ideas and making products that people can use. Sometimes it’s fun to think big. Apple as a company usually focuses on products: things that it builds that consumers will end up using. Smartphones, computers, tablets, and so on. While other tech companies sometimes put forth their moonshots—big, costly ideas intended to reshape the world, but which rarely do—Apple generally seems content to operate by pushing the envelope on the here and now. But that doesn’t mean that the company hasn’t got larger ambitions: it just doesn’t talk about them. In many cases, that’s probably because those ideas haven’t yet reached the point of becoming discrete products that the company can create and ship. When you’re taking on a large idea, especially one in an entrenched industry, it can be tough to distill that big idea down to the atomic level of a product. Health and fitness has been an especial focus for Cupertino during Tim Cook’s tenure. Much in the way that music was a passion of Steve Jobs, health and fitness seems to be right in Cook’s wheelhouse. And the company has attacked the industry from a variety of angles: the Apple Watch as a wearable device with a strong fitness component, HealthKit as a centralized repository for health information on your device, and ResearchKit as a way to push your device into improving health longer term. Even with all of that, there’s plenty of work left to do in the notoriously convoluted healthcare industry, and the company’s showing no signs of stopping. 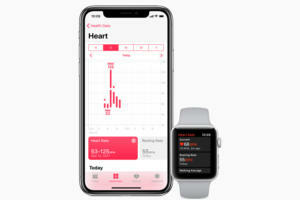 Apple’s recently made a foray into digital medical records, trying to bring people a more complete view of their health. There are persistent rumors as well that the company wants to expand the kind of health tracking the Apple Watch can do, and may even move into other devices or accessories. Healthcare often seems to be a big, monolithic industry, but Apple’s incisive approach of slicing out the portions where it thinks it can bring actual change lets the company apply its own strengths. It’s not clear where the company’s health forays will go from here—more devices, more services, more capable devices—but it’s clear that things are just getting started. The other big arena in which Apple’s focused a lot of attention is the automotive industry. While it has yet to show off anything, it’s clear that Apple has a lot of interest in the market; you don’t have more permits for self-driving cars than competitors like Tesla unless you’re planning on doing something with it. 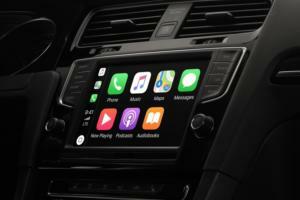 So far, Apple’s sole foray into the automotive world has been CarPlay. While revamping the in-car entertainment and navigation system is an area that certainly needs a lot of attention, it’s really only dipping the company’s toe in the shallowest of waters. Car makers have been beefing up their own technology for the last few years, with companies like Tesla really pushing the limits of bringing the latest in consumer tech—large touchscreens, connectivity, and other smart features—into the industry. Both Apple and Google have worked to bring the tech that consumers use into cars, making them easier and more friendly for drivers. But it seems like Apple has aspirations in the automotive industry beyond simply overhauling the technology that the driver and passengers interact with directly. Given that Apple has acquired licenses for so many self-driving cars, it seems clear that some sort of driving system is in the works. Whether that would involve Apple building something that other manufacturers would use, working with specific automotive partners, or going whole hog and building its own car from scratch, well, I guess you could say that’s a ways down the road right now. What’s clear in both of these cases is that Apple isn’t purely a company focused on consumer electronics in the traditional sense. There’s a reason that it discontinued its line of wireless routers, or that it seemed to have gotten out of the display market (at least, until the Mac Pro debuts next year). Even before that, it ditched printers, its nascent digital camera line, and the PDA. And yet, for all of that, it’s still a company that believes on bringing its big ideas directly to the consumer. Many competing companies in similar situations would be working with other corporate partners to develop solutions behind the scenes—solutions that might never trickle down all the way to the average person. But Apple’s primary customer has always been the end user, so the company takes a decidedly different tactic of making the big ideas small enough to apply to you and me. Much as the Marvel superhero Ant-Man can shrink to the size of an ant, but retain all the strength of his original size, Apple makes small ideas harness the power of much, much bigger ones. So as fun as it is to think big, it’s just as important to think small.